Brighton have signed Iranian international winger Alireza Jahanbakhsh for a club record fee on undisclosed terms. 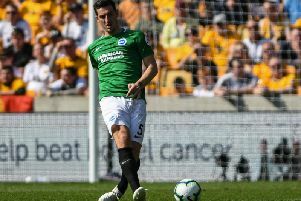 The 24-year-old has joined from Dutch side AZ Alkmaar on a long-term contract until June, 2023 and becomes Albion's eighth major signing of the summer. He has 41 caps for Iran and featured in all three of the country’s games at this year’s FIFA World Cup in Russia. Seagulls manager Chris Hughton said: “We are delighted to welcome Alireza to the club, and we are particularly pleased to get this deal over the line.